A professional Resume is a must, if you looking for a job and Placement Planet make it easier by providing excellent Resume Writing Services. We are expert in developing a professional resume, which will not only be an add-on advantage for you but also make your resume distinct and surely be a highlight among the recruiters. Our professionals collect the complete details about your educational qualification, experiences, hobbies, etc. and create a suitable resume in the most professional manner. 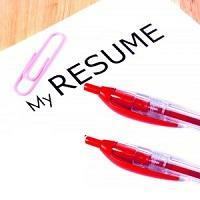 Moreover, we charge nominally for our Resume Writing Service.